Michelle Mosher will take over the helm of the Greater Riverview Area Chamber of Commerce as president after the resignation of Sharon Roushe, who took a job outside the community. 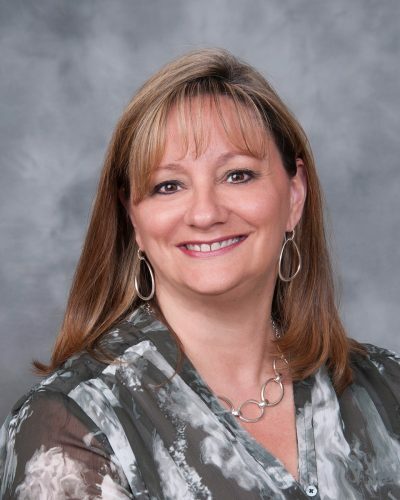 Michelle Mosher will take the helm months early as president of the Greater Riverview Chamber of Commerce following the resignation last week of Sharon Roushe, who stepped down to take a new job out of the area. Roushe also resigned her position as chief executive officer of South Ban Hospital to take a new position in hospital administration. Mosher has been serving as president-elect since the fall and was expected to stay in that position until this coming fall but will now hold the president’s post for more than the usual one-year term, said Debbie Kirkland, the chamber’s membership director. Mike Jones, of World’s Finest Chocolate, will advance to the role of President-Elect in preparation for his chamber presidency in 2020. The owner of Southshore Insurance Professionals, Mosher said she decided to take a leadership role to speak for those who could not or would not take on the responsibility. Mosher and her family moved to Riverview in 2011 and she opened her business in 2014. Like most chamber members, hers is a small business. She has one staff member. Mosher first began working in the insurance field in 1994 as a medical claims specialist in Tampa. She obtained her Property & Casualty Insurance license in 1996 in Maryland where she worked for a State Farm agent prior to opening her own State Farm Agency in 2002 in East Haven, Connecticut. She became licensed to write insurance in Florida and began working as an insurance agent for a local agency in 2012. In addition to her duties with the Riverview Chamber of Commerce, Mosher also serves on the board of directors for the South County Spartans Athletic Program, a youth sports league serving children in the South Shore area. She is also a long-standing member of the South Shore Business Association. “My duties are to lead the Chamber Board of Directors, preside over meetings of the membership, board and Executive Committee,” she said. “I believe the most important aspect of the Chamber is fostering relationships between the community and our local businesses, along with our core values of Diversity, Integrity, Leadership, Teamwork and Fun,” Mosher said. “We have a lot of fun and we work hard to make The Greater Riverview Chamber recognized as leader in this great community. In addition to her business involvement, Mosher said she didn’t know a soul when she moved to Riverview, but many of the chamber members have become like family to her. Because of her skills and contributions, both professionally and personally, Mosher has received numerous recognitions and awards. Professionally, she has received the 2005 Connecticut Business Times 40 under 40 award, the 2010 Great Florida Insurance ‘Insurance Professional of the Year’ award, 2014 Riverview Chamber Ambassador of the Year award and most recently the 2017 Greater Riverview Chamber of Commerce Small Business of the Year award.